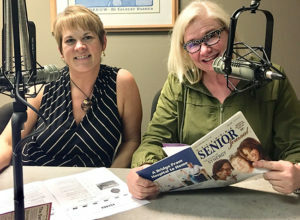 This week on “Rise & Thrive with the OSJ Radio Hour” Saturdays 9:05 a.m. on The Eagle, KZLS 1640AM or listen in on the OSJ app and website “Home Page” anytime! 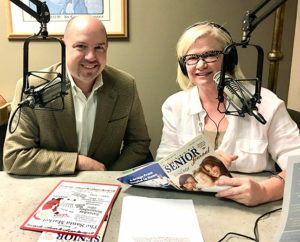 Guest Curtis Aduddell, Executive Director/part owner (left) and Kimberly Brinner, Director of Administrations & Marketing of Heritage Assisted Living Center. Curtis Aduddell was born and raised in the Oklahoma City area and attended Oklahoma State University. After graduation, From 1993 to 1999 he served as a nursing home administrator in both Texas and Oklahoma. 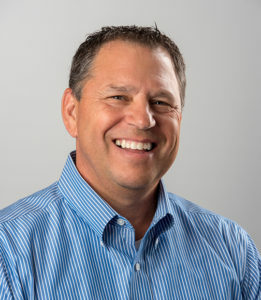 In 2000, Curtis, along with two partners, opened Heritage Assisted Living Center where he has served as both part owner and Executive Director for the past seventeen years. Curtis is currently a board member on the Oklahoma State Board of Examiners for Long Term Care Administrators as a member of both the Education and Rules Committee. Curtis considers himself fortunate to share his days with the many wonderful residents who call Heritage their home. Weama was born to lead and to serve. After searching for something that would nurture those two sometimes-divergent passions, she found SYNERGY HomeCare, and brought the renowned home care company to Oklahoma. In a short time, Weama and her team have built and managed a SYNERGY HomeCare that is growing daily beyond her dreams. She sets the tone for personalized service and authentic compassion for everyone around her. Setting strong roots in our community, Weama is a member of the Oklahoma City Rotary, Oklahoma City Chamber of Commerce, Edmond Chamber of Commerce and a volunteer team member with Positive Tomorrows. 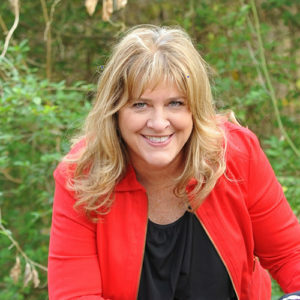 Charlotte brings all of the skills, talents, leadership and passion necessary to operate a successful business. A consummate professional, we are thrilled she is the administrator for SYNERGY HomeCare. She has strong skills in communication, contract interpretation and administration, quality control and employee training. She is an organizer, is meticulous in detail and is a wonderful encourager to others. Both clients and her fellow employees agree, she is a blessing to have on our SYNERGY team. 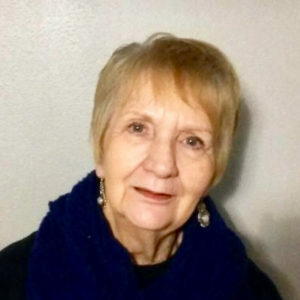 Charlotte is a lover of music and is a 17-year member of a female a’cappella ensemble which provides the ministry of music to people throughout Oklahoma and the surrounding states. Rise & Thrive! 12-2-17: SFC George Shafer U.S. ARMY (Retired) & Meredith Shafer, JD of S.T.O.R.M., Inc.
(Left to Right)SFC George Shafer U.S. ARMY (Retired) and Meredith Shafer, JD of S.T.O.R.M., Inc.
SFC George Shafer (Ret.) is CEO/COO of Storm, Inc. George retired after fifteen years in the Army. 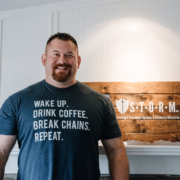 He is a former combat veteran who survived years of undiagnosed PTSD and addiction and because of this, he now helps those in addiction find a way out through the ministries offered at Storm. 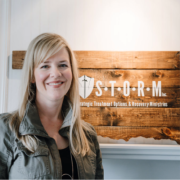 Meredith Shafer, JD, is CEO/CFO of Storm, Inc. She left her job of fifteen years as the Executive Director of a multimillion dollar foundation to co-found Storm, an addiction recovery ministry, with her husband. She has authored two books, the latest is Mad Cow: A PTSD Love Story, the testimony of their walk through addiction. https://okseniorjournal.com/wp-content/uploads/2017/11/STORM-e1511920787524.jpg 1886 3744 rg7878 https://okseniorjournal.com/wp-content/uploads/2017/09/OSJ_Logo_300dpi-300x100.jpg rg78782017-11-28 19:58:162017-11-28 20:00:57Rise & Thrive! 12-2-17: SFC George Shafer U.S. ARMY (Retired) & Meredith Shafer, JD of S.T.O.R.M., Inc.
Saturdays 9:05 a.m. on The Eagle, KZLS 1640AM or listen on the OSJ App. 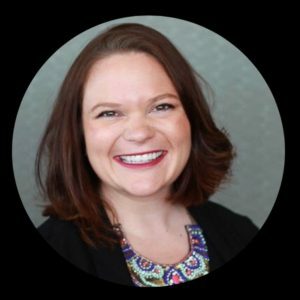 Erin Engelke is the Chief External Relations Officer for Sunbeam Family Services, one of the longest serving nonprofits in Oklahoma, where she manages the organization’s fundraising, marketing, public relations and volunteer programs. Sunbeam Family Services has been a vital support to individuals and families in the community. In 1907, founder Lizzie Swisher saw a need to for a children’s home in her community. 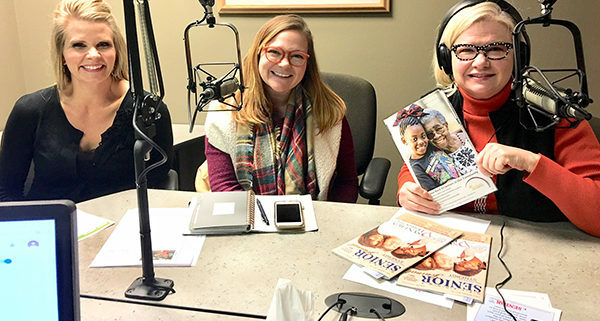 With basket in hand, Lizzie and a group of women went door-to-door in their historic Oklahoma City Heritage Hills and Mesta Park neighborhoods, asking their peers for financial support. That passion to provide safe housing for homeless boys and girls spread, and their efforts raised enough funds to build a children’s home. 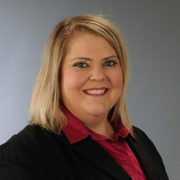 Chelsea Rose is the Director of Community Engagement at Catholic Charities of the Archdiocese of Oklahoma City. As a graduate of the Hospitality and Tourism Management Program at Oklahoma State University, Chelsea coordinated and produced weddings and large social events for seven years for hotels and independent venues throughout Oklahoma City, Tulsa, and the Dallas/Fort Worth area. She then brought her event talents and abilities to the non profit sector. She worked as the Special Event Coordinator at Grapevine Relief and Community Exchange (GRACE) in Grapevine, Texas for two and half years before joining the team at Catholic Charities. Chelsea lives in Oklahoma City, attends every Thunder game she can and participates in every 5k she can find. Dr. Howell has served as the Wound Care Medical Director for Norman Regional Health System since 2008, covering the Oklahoma Wound Center; the inpatient wound program and the Diabetic Limb Salvage Program. She is Board Certified in Emergency Medicine and Undersea Hyperbaric Medicine and has been practicing wound care since 2006. 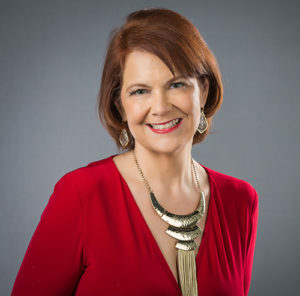 She was recognized as one of The Journal Record’s “50 Women Making A Difference” in both 2012, 2015 and 2016 and named to The Journal Record’s Circle of Excellence in 2016. Dr. Howell is the co-founder and chapter leader of the Oklahoma Metro Chapter of the Save a Leg, Save a Life; a non-profit organization dedicated to decreasing amputation rates. She also serves on the National Board of Directors. Dr. Howell is also committed to educating and inspiring the next generation of health care professionals by serving as a mentor for the Belknap Memorial Premedical Proctorship and educating Emergency Medicine Residents on hyperbaric medicine and wound care. Karen is Norman Regional Health System’s Diabetic Limb Salvage (DLS) Nurse Navigator. 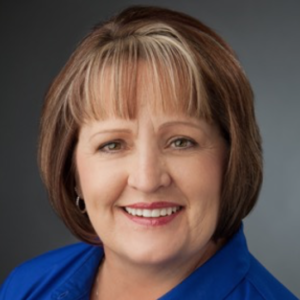 She began her career at the Oklahoma Wound Center as a wound care technician before becoming a registered nurse. Karen coordinates the treatment plan for patients suffering from a diabetic ulcer and serves as the key contact for patients, and is responsible for monitoring and guiding them through the recovery process. Karen provides emotional support and assurance of continuity of care for the patient and their family. She educates them on the healing process, ulcer prevention and how to live a healthy lifestyle. Karen also provides diabetic limb salvage education to Norman Regional Health System nurses and caregivers. Listen in on Saturdays 9:05 a.m. on The Eagle, KZLS 1640AM or listen through the OSJ App anytime on your tablet or smart phone. Norman Regional Health System’s free Diabetes Health Fair – Tuesday Nov. 19, 6p-8p at the Norman Regional Education Center, 901 N. Porter. The Diabetes Health Fair is open to anyone who may be affected by diabetes or those interested in improving diabetes management. There will be a cooking demonstration by “Food for Thought” and “Zumba in a chair” by Tori Collier. The Diabetes Health Fair will also feature free blood pressure screenings, free blood glucose meters, free hemoglobin A1C lab voucher, and the newest diabetes products. The fair is sponsored by the Norman Regional Diabetes Center. 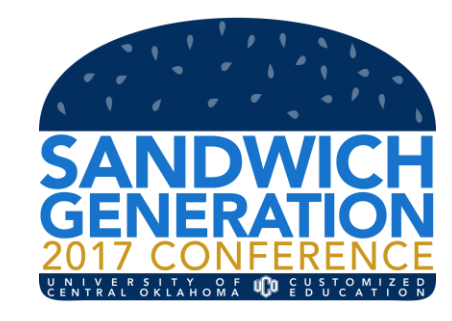 Click here to go to the Facebook Event page or call the Diabetes Center at 405-307-5730 for more information. You can also visit their web page – click here. Jeff Lara (left) Director of Operations for The Salvation Army, Central Oklahoma Area Command and Lisa Sydnor, (middle) Senior Programs Manager for The Salvation Army Central Oklahoma Area Command. Jeff Lara is the Director of Operations for The Salvation Army, Central Oklahoma Area Command. He has served in that position since 2010 following 28 years in the Fire service. Jeff started his public service career in Liberal, KS as a Firefighter/EMT before moving to Yukon to serve as the Assistant Chief in 1995 then 10 years as Fire Chief for the city of Yukon. As Director of Operations, he oversees programs and services for homeless shelters, food pantries, social & disaster services, senior programs and transportation for Canadian, Cleveland and Oklahoma County. Lisa Sydnor has more than 40 years’ experience in the nonprofit world. She served 10 years each with the YMCA of Greater Oklahoma City; Oklahoma City University and American Red Cross in financial development. 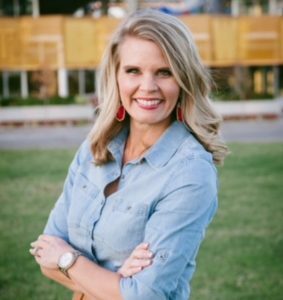 She served as International Chapter Director for Meeting Professionals International; CEO for Central Oklahoma Community Action and since 2012 has served as Senior Programs Manager for The Salvation Army, Central Oklahoma Area Command. Jennifer is a native of Midwest City, Oklahoma. She is a Certified Respiratory Therapist with a Bachelor’s of Science Degree in Organizational Leadership from Southern Nazarene University. 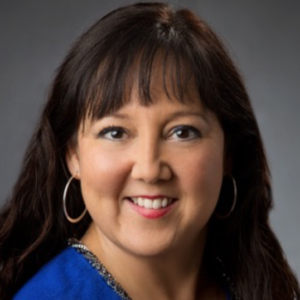 She has an extensive history in patient care in the hospital, clinic and private setting in addition to her over 15 years in leadership, management and marketing. Jennifer is involved in various community & networking organizations which support the community. She is currently the Community Relations Director at Oklahoma Palliative and Hospice Care. Jennifer lives by the rule, service before self and always treat others as you wish to be treated. Joan Clarke, founder and chair of the 8th Annual Santa Market Craft Show benefiting The Alzheimer’s Association of Oklahoma. Carla Scull is the Education Coordinator for the Oklahoma Chapter of the Alzheimer’s Association. She holds a Bachelor of Science degree in Special Education from the University of Oklahoma. Previous work experience includes, Special Education Teacher, Senior Companion Supervisor, Life Enrichment Director and volunteer. Karen Youngblood is the Executive Director of Customized Education at the University of Central Oklahoma (UCO) – which creates customized education solutions through certifications, conference management, contract partnerships, and courses to equip businesses, government, community organizations, groups, and individuals with the knowledge and skills that benefit personal growth and organizational success. Bruce McIntyre serves as the Executive Director of the Parkinson Foundation of Oklahoma. As the author of Thrive Anyway, Parkinson Positive and Graceful Transitions, Bruce shares his expert guidance and warm humor with thousands of people each year. As a caregiver for his wife for the past 12 years, Bruce understands the world of chronic illness and caregiving. He has led the Caregiver Fundamentals Project in Oklahoma City and served caregivers as a business, church, and non-profit leader. 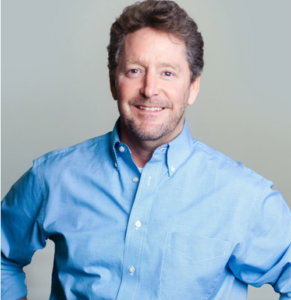 Bruce is also the author of Resilient Life. You can learn more about him at BruceMcIntyre.com.